Johs Rasmussen Svebølle A/S can offer a wide spectrum of solutions in transport and logistics. tanktransport, silo transport, concrete-element transport and transport of foodstuff. Moreover there is the possibility of renting tank-vehicles. Johs Rasmussen Svebølle A/S can offer individually accommodated solutions including storage, tank-cleaning and distribution. The basis for co-operation with the customer is a close dialogue where we day-to-day will disclose the needs with a view to assuring optimal planning of the transport-performances related to the demands of the customers. If you wish further information concerning tanktransport, silotransport, concrete-element transport of transport of foodstuff you are welcome contacting us. Since 1985 Johs Rasmussen A/S has carried out silo transports. Today we have a modern fleet with high quality-requirements of the units and a capacity up to 74 cubic meters per unit at our disposal. The composition of the units makes it possible to offer separation of different types of products during the transport. This means great flexibility delivering to our customers. Our customers have great demands to delivery, therefore Johs Rasmussen Svebølle A/S has units divided in categories like fly ash, cement, hazardous substances and tanks that are approved for foodstuff only. We can offer our customers to empty a silo, change products for our customers, take care of storage-management and even storage of products. 1978 Johs Rasmussen Svebølle A/S founded the stainless tank-section. Daily the section has more then 50 trucks on the road transporting foodstuff in certified tanks and containers, transport of liquid chemicals, solvents and hazardous liquids, both nationally and internationally. We co-operate with numerous hired transporters, who through a well integrated network and via our system of quality-management serves our customers, based on environmentally sound means of transport. The section has for a long while and with great success built a distribution-net for lubricating products serving industrial customers all over Scandinavia. The section has all almost any types of insulated tanks and tank-containers room divided even up to 6 chambers per unit at its disposal. These tanks can be heated in transit and for that reason they are very flexible as both transport and buffer-storage. In this way Johs Rasmussen Svebølle A/S offers the customers all kinds of transport in stainless tanks – a modern fleet of great capacity. Contact our Stainless Section and learn more about your possibilities. Johs Rasmussen Svebølle A/S founded this division in 1932. It was the first division established, and we have since then attended to the demands of this particular type of transport. 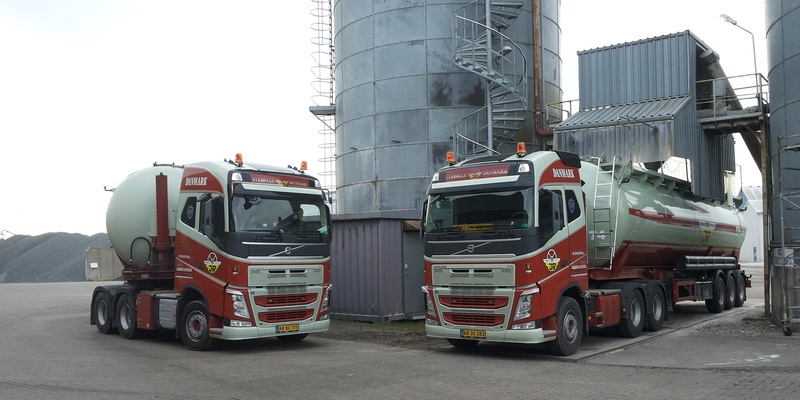 We daily send trucks around the country with oil, petrol and diesel for the country’s service-stations, fuel for central heating and greater production plants and fuel-oil for ships. A special branch of the section is transport of hot bitumen for asphalt-plants, direct unloading at asphalt-production spots for the application of road surfaces. Through many years we have developed a large section of environmental transports, among others with slurry-transports for biogas-plants. The section is characterized by our versatility – try us next time. We’d like to make an offer for special assignments demanding the right equipment. Owing to great experience between our drivers we are able to handle your transport assignments. Since 1932 Johs Rasmussen Svebølle A/S has platform truck transport as one of the most important divisions in the company. We offer all types of platform truck transport, in both open and closed units. We have a large number of different units at our disposal, why we are able to offer complete solutions in transport and logistics. We offer in our department also truck transport of containers to and from the port in Århus through years of cooperation with Molslinien. Platform truck Division has great potential, no job is too big og too small. Contact us and let us tell you about the opportunities. 1986 Johs Rasmussen Svebølle A/S established the Element Transport section. 1991 the Kolding division was established after the take-over of SKJ Transport – then E. Steffensen was bought in 1997. Subsequently element transport was conveyed from both Seeland and Jutland. The Element Transport section at Johs Rasmussen Svebølle A/S has a large degree of flexibility in equipment. We have particularly shelf-trailers, lowered-platform trailers, straight trailers, glass-trailers, flatbed-trailers and tippers at our disposal. Thus we have a great capacity for solving any problem, so that our customers can fulfil their obligations.